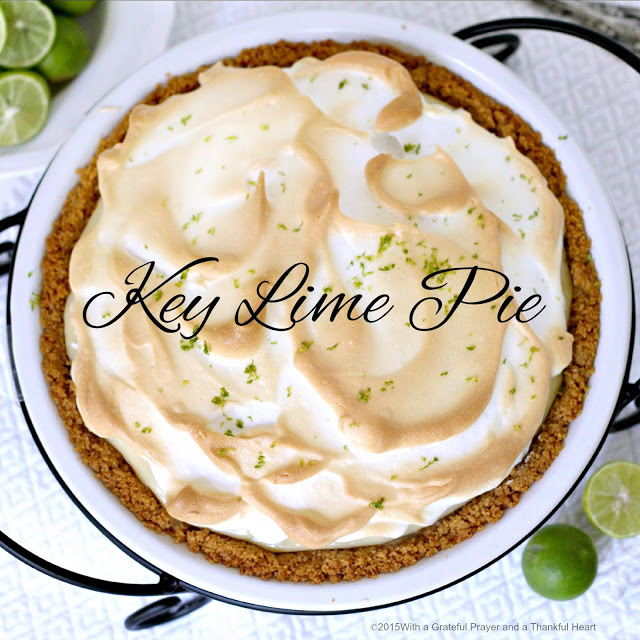 Lots of little Key Limes are used to make this pie that’s sure to tantalize your taste buds with its creamy sweet and tart goodness. Top with meringue or fresh whipped cream. Combine graham cracker crumbs, brown sugar and melted butter. Press into a 9-inch pie plate. Bake pie crust at 350° for 10 minutes or until lightly browned; cool. *I substituted crushed vanilla wafer cookies for the graham cracker crumbs because I wanted to use up the cookies. If only my recipes looked as perfect as your photos . . .
Drooling! This and your teriyaki burger….I want this for dinenr! 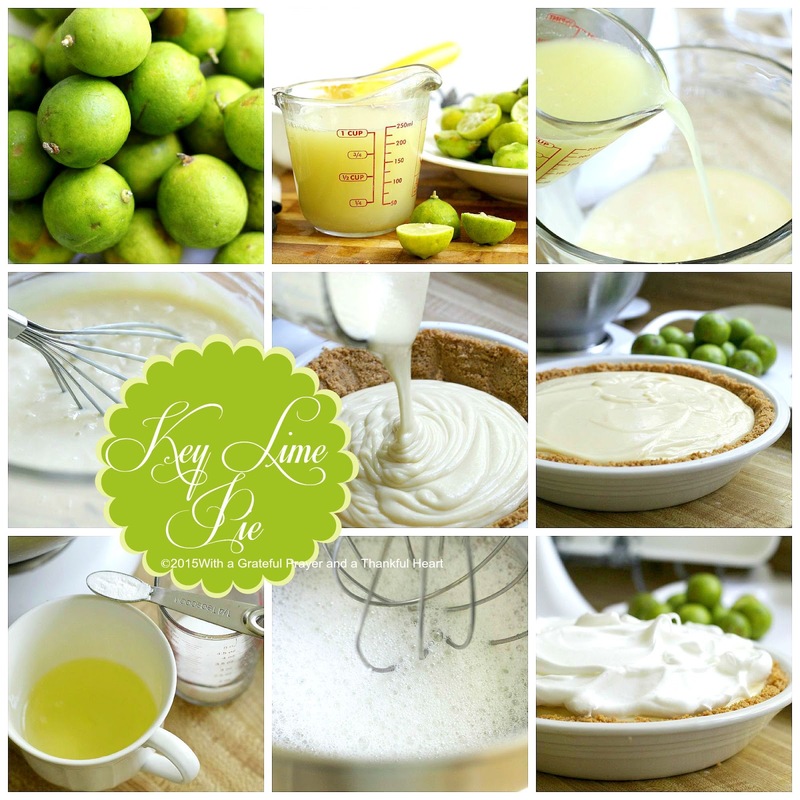 Oh my gosh…key lime pie is my favorite summertime treat! This looks amazing! 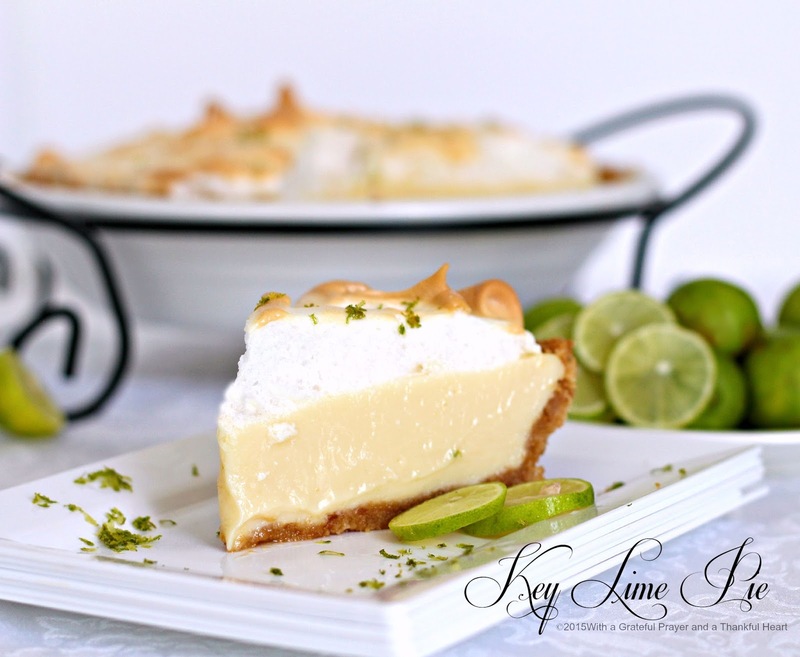 Key lime pie is amazing! My mouth is watering just looking at your photo. And mine would be served with meringue…. This pie sounds great and it's always so fresh and cold. I just had some over at my nieces, but hers was store bought. I rather make it myself, so thanks a ton for the recipe.